The BFI join forces with BAFTA to celebrate the cinema legend's 90th birthday. 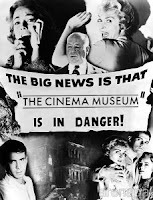 Ray Harryhausen holds a unique place in the history of cinema. Working alongside Willis O'Brien and George Pal in the 1940s, Harryhausen was inspired to develop his own stop-motion model animation and effects techniques which dominated many classic science-fiction and fantasy films over several decades. Transcending the typical role of animator, Harryhausen created characters which possessed their own unique personality and which were realistically combined with live action, earning him the freedom to work without studio interference. We are delighted to join forces with BAFTA to celebrate Ray Harryhausen's 90th birthday and this event will feature on-screen and in-person tributes from those who worked with him and those who have been influenced by his magnificent career.